Google plans to submit at least an initial bid for 700-MHz wireless spectrum, the Wall Street Journal reports. There is some thinking that with Verizon's declaration of willingness to open its network to any technically-compliant device, as well as similar open access provisions for any winner of 700-MHz C block spectrum, Google has less need to acquire its own spectrum to ensure an open environment for wireless Internet services. Google also is working with Sprint and T-Mobile on open devices and applications on those wireless networks, plus Clearwire for WiMAX service. Given all of that recent development, there simply is less need for Google to own spectrum simply as a way of ensuring an open environment. Sprint Nextel Corp. has rejected a $5 billion investment by South Korea's SK Telecom Co. and buyout firm Providence Equity Partners Inc. that would have brought back former Chairman Tim Donahue to run the mobile-phone company, according to Bloomberg. The investment group reportedly proposed buying Sprint securities that would later convert into equity for 20 percent to 30 percent more than the current stock price. Sprint's board apparently didn't meet with Donahue or the investors before turning down the deal, nor does it appear SK Telecom and Providence were interested in a hostile takeover. Now that Verizon Wireless has selected Long Term Evolution as its fourth-generation platform, and if Sprint continues with its WiMAX fourth-generation network platform, prospects for CDMA are dim in the U.S. market. Of course, there always is the possibility that Sprint might reverse course and abandon WiMAX. But Sprint Nextel at the moment really stands alone in the platform area. It runs the Nextel iDEN network that no other major carrier supports and CDMA-based 3G that Verizon says it will abandon. It is hard to imagine T-Mobile adopting anything other than LTE, so it appears CDMA is at a deadend in the U.S. market. Verizon Wireless will base its fourth-generation mobile broadband network on LTE – Long Term Evolution – the technology developed within the Third Generation Partnership Project (3GPP) standards organization and based on GSM. The selection of LTE means Verizon wants to align itself with the scale opportunities the global standard will provide, rather than extending its existing CDMA platform. Verizon and Vodafone have a coordinated trial plan for LTE that begins in 2008. Trial suppliers include Alcatel-Lucent, Ericsson, Motorola, Nokia-Siemens, and Nortel. Discussions with device suppliers have expanded beyond traditional suppliers such as LG, Samsung, Motorola, Nokia, and Sony Ericsson, as consumer electronics companies anticipate embedded wireless functionality in their future products. Users won't see 4G for several years, however, so there's no need to worry about existing CDMA equipment. The decision does call into question how much actual developer interest there will be in Verizon's new "open" CDMA platform, however. XO Communications and Sotto Wireless will begin trials of a fixed mobile convergence solution in Seattle. The Unwired Office integrates customers’ fixed and wireless communications services into a single platform with one smart phone that can be used in the office or on the go for voice, email and Internet access as well optional IP desk phones. The Unwired Office includes a business phone system, broadband network access and mobile phone service. Features include a high-speed dedicated Internet access; hosted private branch exchange system; individual smart phones with one telephone number for office and mobile calling, wireless email and messaging; optional IP desk phones; and anywhere coverage through in-office Wi-Fi networks and wireless service. In addition, the service enables businesses to transparently extend the office phone system to the home or branch office by using existing cable or digital subscriber line broadband services. The service uses dual-mode smart phones from Nokia, such as the Nokia E61i, that feature both office Wi-Fi and cellular network connectivity options, full keyboards, and productivity applications. The hybrid wireless capabilities allow employees to use the Nokia smart phones to make calls over Wi-Fi networks and use cellular networks when employees are away from the office. 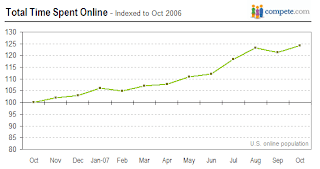 User time spent online is up 24 percent over about the last year, according to Compete data. The deadline for filing an application for the 700-MHz auction is Dec. 3. The actual auction starts Jan. 24; the names of the bidders will be disclosed on Jan. 14. Prediction: Google will submit a bid of $4.6 billion. But maybe no more than that, and the winning bid will certainly be higher. Now that Verizon has agreed to open up its mobile network to any compliant device or software, and having already gotten working agreements with Sprint, T-Mobile and Clearwire, Google might not need to secure spectrum simply to ensure that its open approach to the mobile Web has a place to develop. As U.S. competitive local exchange carriers and cable companies await key decisions from the Federal Communications Commission, the quantitative tests of "effective competition" are key. And on that score the FCC and the European Commission do not see eye-to-eye. In the video arena, the FCC targets the 30-percent market capture level as denoting "effective competition." In the voice services area the test seems to be 20-percent share loss by incumbents. The EC doesn't even think 50-percent loss of market share by incumbents is sufficient. The disparities in thinking about what marks "effective" levels of competition leaves at least some room for new thinking on what measures might be required to stimulate even more robust levels of competition. In mass markets, 30 percent quite often is the share held by the market leader. One might argue that Verizon Wireless is gambling with its whole business model in allowing use of technically-compliant devices and software on its network next year. But one can point to the experience of wireless operators in Europe, who have used this "open" model for years, to see it is not so dangerous. In fact, Verizon gains more than it might potentially lose, just about any way you want to spin the matter. First off, it gets great press for breaking the "closed" mobile model on a voluntary basis. Also, it is betting, likely reasonably, that the overwhelming mass of buyers still will prefer the old model of "discounted phone, two-year contract." Verizon also uses the CDMA platform, which already means there is less handset choice than possible on a GSM network, since the GSM market is so much larger, globally. Verizon just might stimulate a bit more handset and software choice by going open. Also, open is inevitable. The 700 MHz spectrum requires such device and software openness, so it is coming to the market, in any case. Verizon might as well "look good" rather than resisting the inevitable. Open also means Verizon has a shot at creating a more robust developer community, a helpful asset indeed as more innovation moves to the software realm. There's very little, if any, downside and lots of upside. Not since AT&T launched its "Digital One Rate" has any leading mobile provider taken a step that will reverberate throughout the whole industry. Sometimes, innovation is not just something small companies pull off. Sometimes very large companies do it as well. And maybe, sometimes, only a very-large company can cause a major change. On occasion, innovation may require the push only a very-dominant firm can supply. This appears to be such a case. Sometime between now and Dec. 5th, the Federal Communications Commission is slated to make decisions that could significantly raise wholesale access and transport tariffs in six markets, including Boston, New York, Philadelphia, Pittsburgh, Providence, and Virginia Beach. Customers can anticipate an additional $2.4 billion in extra charges for communications services, according to a study by QSI Consulting, if the rules are relaxed. Basically, Verizon argues that market competition in each of the six markets is equivalent to that found in the Omaha, Neb. market, the benchmark used by the Federal Communications Commission to deregulate wholesale access rules and rates that have been favorable to competitors. Up to this point, competitors in the six markets have been able to buy wholesale access and transport at rates below “retail” special access rates. Should Verizon prevail, it would be free to raise prices as it sees fit, with the likely result that wholesale rates would rise to just about what the retail special access rates are. QSI estimates increased telecommunications expenses incurred by consumers for retail mass market, enterprise, and broadband access services would be $1.054 million, $747 million, and $565 million.. This amounts to a rate increase of $114 annually for an average household, QSI says. Users in New York would wind up paying as much as $1.4 billion extra. In Philadelphia costs could rise $345 million; $380 million in Boston; $104 million in Virginia Beach and $177 million in Pittsburgh. Consumers would wind up paying as much as $1 billion more for services; enterprises $751 million and broadband access users $565 million. Opponents of the plan tend to think they have done what is needed to make the FCC commissioners aware of how woefully undeveloped access competition is in the six markets. But one never knows. “The concern is that though the numbers are clear, there are media issues also on commissioner minds,” says Covad VP Angela Simpson. The danger is that the forbearance issue might wind up being a bargaining chip as commissioners grapple with the broader media deregulation issues. In the enterprise high-capacity access markets, one has to distinguish between the financial and operating markets. Of late there has been renewed interest in the financial value of scarce optical assets, particularly in smaller markets. But the allocation of new capital to the access business, if welcome, is not the same thing as deployment of capital to support alternate optical access facilities to the places most businesses are located, which is, simply, in the larger markets. There is no “silver bullet” in the optical access market; just determined, steady, slow progress in lighting new buildings with at least one fiber cable. To be sure, global carriers very much want to connect large enterprise locations with 1 Gigabit-per-second to 10 Gbps optical connections. The problem sometimes is that such connections don’t exist, or sometimes simply that sourcing such facilities is laborious because there are so many small providers in local markets. The problem for a global carrier is simply the need to source really high bandwidth access all over the world, easily. In part, it’s a Layer One issue. 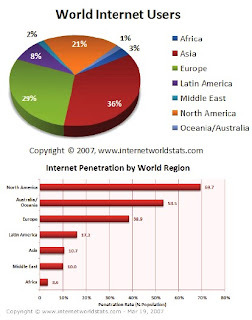 In the U.S. market, for example, only 12 percent of business sites have fiber connectivity. Only 20 percent of North American cell sites have fiber connectivity. That explains the continuing attraction wireless and Ethernet-over-copper alternatives represent. To be sure, programs such as Verizon’s FiOS will solve those problems for consumers, and almost incidentally for many branch office, small office or smaller business executives. In the second quarter, for example, Cogent Communications added 1,208 on-net connections, up 53.5 percent from the 787 added in the first quarter. In the third quarter Cogent added 30 buildings and expects to have added 100 on-net buildings by the end of the year. The company expects to do so again in 2008, adding 100 new buildings to its network. “As of September 30, 2007, we had 1,189 buildings directly connected to the network, representing over 520 million square feet of rentable office space, out of an addressable inventory in North America of about 6.2 billion square feet,” says Dave Schaeffer, Cogent CEO. “We are currently utilizing a little bit less than 22 percent of the lit capacity in our network,” says Schaeffer, illustrating the issue nicely: fiber isn’t the problem, access to customers with fiber is an issue. At the end of June Time Warner Telecom had 7,884 buildings connected on its own facilities. At the end of September the company had 8,109 buildings on network, an increase of about 225 buildings, or about three percent. On an annual basis, on-network buildings increased about 19 percent. RCN has something in excess of 800 buildings on network. Optimum Lightpath has about 2,500 buildings on network with fiber connections. Nationwide, there are some 95,000 fiber-fed buildings, says GeoResults. And of course, compounding the problem is the fact that lots of the fiber access to lit buildings is in a common cable sheath, no matter who the retailer of record is. For many desirable buildings, the issue is that most of the suppliers actually use fiber in the same cable sheath. There is progress. It simply is progress of the persistent, gradual sort. The point is to separate the legitimate financial plays—rolling up and aggregating optical access assets in tertiary markets, such as Zayo Bandwidth is doing, from the operating situation, which continues to be that optical connections to more buildings is the gate. One would think optical connections to wireless towers are an obvious, slam dunk sort of opportunity. With broadband demands growing rapidly, and locations so easy to identify, replacement of copper-fed T1 or microwave connections, the typical solution these days, would seem to be a fairly easy business proposition. There are perhaps 2.2 million wireless base station sites globally, including 250,000 in North America alone. Assume half those base stations use wireless backhaul, while the other half use leased T1s or optical connections. The Chinese market is unusual in the sense that most of China Mobile’s base stations already are fiber connected. Observers tend to note that in Europe, the Middle East or African markets, it wouldn’t be unusual to find that 60 percent of connections use microwave technology while 25 percent use optical connections and just 15 percent or so are based on copper E1 connections. In the U.S. market, perhaps 10 percent to 20 percent of towers and other transmitting locations use fiber connections, accounting for 25,000 to 50,000 optical backhaul locations. And though microwave backhaul is popular in other markets, it rarely is used in the U.S. market. That suggests as many as 225,000 wireless tower sites, or as few as 200,000, are fed by T1 connections over copper media. Depending on which carrier is involved, backhaul can represent 20 to 40 percent of recurring operating cost. Verizon and at&t obviously are in position to use their other assets to slice this cost of doing business, while Sprint Nextel and T-Mobile obviously face higher costs. But the fiber access opportunity isn’t necessarily contingent on replacement of copper-fed T1s with optical replacements. Indeed, voice works pretty well when the backhaul is based on T1 technology, so carriers might well not want to complicate their operations by moving all that traffic over to optical access. It might in fact make just as much sense, or more sense, to use the optical facilities for the rapidly-growing IP traffic demands, leaving T1 facilities in place for voice. In other words, use the Time Division Multiplex network for voice traffic that is highly sensitive to latency, and use optical Ethernet for bursty data traffic. Of course, thinking is bound to change once any appreciable amount of usage and revenue is generated by video. At some point, optical will be the best choice. The issue is when that will happen, and what the optimal choices are in the meantime. The point is that optical Ethernet, though the long-term answer, doesn’t cleanly address all the operational issues carriers think they face. Encapsulating TDM traffic for Ethernet transmission worries carrier technologists for any number of reasons, for example. The bottom line is that optical Ethernet, and business optical access, continues to grow every quarter. It just isn’t the sort of transformation that can happen much faster, given the need to balance revenue from the first customer account with the cost to construct an optical lateral connecting that customer. In the old days, when carriers were the primary customers, matters were simpler. One simply built out to carrier hotels, data centers and key central offices, knowing that most of the high-bandwidth termination demand would be at such locations. That isn’t so easy when the customer base primarily is enterprise customers. In a historic move, Verizon Wireless says it will provide customers the option to use wireless devices, software and applications not offered by the company. Verizon Wireless plans to have this new choice available to customers throughout the country by the end of 2008. “This is a transformation point in the 20-year history of mass market wireless devices, one which we believe will set the table for the next level of innovation and growth,” says Lowell McAdam, Verizon Wireless president and CEO. That isn't to say Verizon will stop bundling devices, plans and features, as it believes most consumers prefer to buy that way. Still, Verizon is bowing to the inevitable. Open wireless networks are coming. One has to say that Google already is winning much of what it seeks: an open mobile Internet. MultiMedia Intelligence projects worldwide unit shipments of multimedia feature-rich mobile phones will exceed 300 million units in 2008, outnumbering shipments of TV sets. Multimedia phones have at least 1 megapixal image capture, MP3 audio, video playback, Java, USB, Bluetooth, 16-bit screen color, QVGA resolution, WAP and MMS. Revenue from these handsets will be over $76 billion. Numbers that large are a reason why Research in Motion will be launching new consumer-focused devices in the first quarter next year. The 9000 series is described by Carmi Levy, an analyst at AR Communications Inc. , as "the future of the BlackBerry franchise," a complete breakaway from the device's business roots. Instead, the new series targets the consumer space served by the Pearl and Curve models. "The 9000 is supposed to be a touch-screen device, very similar in form factor to the iPhone," Levy says. "Which means that it is not an enterprise-friendly device." The 9000 series will break from the traditional half-screen, half-keyboard look of the BlackBerry. The handsets will also incorporate an upgraded multimedia system, along with the standard push email capabilities. Levy speculates that RIM will introduce the 9000 series in the first quarter of next year. Among the updates will be "a Curve with WiFi," according to Levy. These devices may have other updates like GPS location tracking and higher resolution on-board cameras as well. Google apprears to be prepping a storage service that would let users store online essentially all of the files they might keep on their local hard drives, according to reporting by the Wall Street Journal. Users would gain mobility, remote backup and simple Web access to their information from virtually any broadband-connected device. For Google, getting people to store data online makes it easier to get them to use productivity and other applications online. The possibly unanticipated impact is that enterprise computing architectures might change in this direction as well, as improbable as that may seem. Cloud-based computing arguably is easier to manage and better adapted for supporting remote, traveling and dispersed workers, which is more the case every day. Google is trying to let users upload and access files directly from their PC desktops and have the file storage behave for consumers more like another hard drive that is handy at all times, say the people familiar with the matter. Of course, one limitation of such an Internet-based storage service is offline access. Google is hoping the new storage service will help tie together some of its other services through a single search box, allowing a single search by keywords to find privately stored files, regardless of whether they're accessed through Picasa, Docs or a software program running on the user's computer. Google appears to be moving toward being able to "store 100% of user data." Windows XP Service Pack 3, the update scheduled to release next year, runs Microsoft Corp.'s Office suite 10 percent faster than XP SP2, Devil Mountain Software, a performance testing software company says. That's not the biggest news. According to Devil Mountain, Windows XP SP3 is also considerably faster than Vista SP1. "None of this bodes well for Vista, which is now more than two times slower than the most current builds of its older sibling," company executives say. Targeted online advertising, an important revenue driver for all sorts of media and mobile services, is going to get serious regulatory scrutiny from European Union regulators next year, according to Astrid Wendlandt, Reuters reporter. At stake is the viability and robustness of media revenue models based on targeted messages, obviously key for Web sites such as Facebook, search providers, online media companies and mobile service providers alike. The European Union's Article 29 Working Party already has ordered Google to curtail the amount of time it stores past Web searches to 18 months. The EU's moves are a salient reminder that Internet services, especially media and content services and applications, increasingly are falling under the purview of regulators. Some have argued that Internet communications should be free of such rules. More important are regulations affecting content and media services. Historically, regulators have decided whether communications were legal, and under what terms. Now regulators essentially will be deciding what content and media forms are legal, and under what terms. One can argue that all regulators are doing is protecting privacy. It is more than that. Regulators also will be deciding "what" the basis of a new business can be; "who" can be a part of it and "how big" new media might become. Skirmishes over "VoIP" will pale in comparison. Who will massively introduce mobile VoIP? Mobile carriers themselves, says Dean Bubley, Disruptive Analysis president. 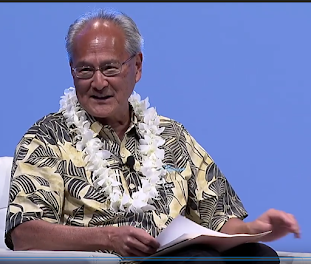 In fact, some 250 million VoIP over mobile accounts will be in service by 2012, he argues. Analysts at Analysys seem to agree, arguing that wireless VoIP end users will outnumber wired VoIP users in the near future, as shown in the graphic. Conversely, dual-mode mobile devices that work both on wireless networks and Wi-Fi will have been eclipsed, he argues. As for independent providers of VoIP over third generation mobile networks, get ready for something of the same thing that has happened to Vonage, he essentially argues. In other words, as the mobile carriers increasingly move to provider VoIP as an alternative to legacy Time Division Multiplex services, it will increasingly be tough for independents to make a go of it, much as competition from cable has squeezed Vonage and other independents in the U.S. market. Independents do have a window of opportunity, though, since the majors haven't yet moved. Though some will find the analysis disturbing, Bubley's predictions fit well with the past history of technology innovations in the global telecom industry. That is to say, innovations at first are brought to market by upstarts. At some point, it becomes crucial for the majors to adopt, and they do. Bubley's analysis rests on a couple of simple assumptions. Since mobile carriers are migrating to all-IP networks, voice necessarily will be in the form of VoIP. Either that, or keep running a parallel TDM voice network. The coming IP networks also will operate in more bandwidth-efficient mode than a circuit-switched network, possibly in the range of 100 percent to 200 percent, he argues. Given demands for more data bandwidth, that will be compelling. Then there's the attraction of IP-enabled features not possible with TDM. Also, mobile providers will want to collapse multiple networks and switching fabrics. Just as wireline networks are moving to IP Multimedia Subsystems, so wireless operators, who initially were the impetus for the creation of IMS, will do so. And that means IP-based voice. Deutsche Telekom, after being sued by Vodafone over availability of unlocked iPhones, will offer the device for 999 euros ($1,483) without requiring a two-year exclusive contract with its T-Mobile unit. T-Mobile changed the rules after Vodafone won a court injunction that bans T-Mobile from selling the iPhone with contracts or the "SIM lock" that prevents the phone from working on another network. Apple and Orange have the same issues in France. 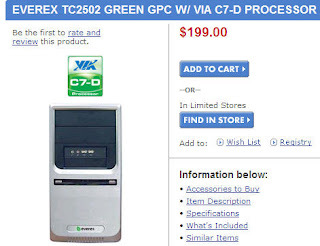 Wal-Mart will sell a $200 Linux-powered desktop built by Everex and running Google applications. The Everex gPC runs Gmail, Google Docs & Spreadsheets, Google Calendar, Google Product Search, Google Blogger, Google YouTube, Google Maps, Google News, Meebo (instant messaging), GIMP (image editing), Firefox, Xing Movie Player, RhythmBox, Faqly, Facebook, Skype and OpenOffice.org 2.2. The device is seen as an impulse buy. First-time users and grandparents, perhaps. Or, as will happen, as test platforms for people who already have full-featured PCs, but want to experiment with Linux apps and cloud computing. In some cases, people might just use it as a communications and Web apps platform. Besides green, the “g” stands for the gOS, the Ubuntu 7.1 Linux desktop developed by an open source startup of the same name. “The gOS is an alternative operating system that makes it apparent that Google is your entire computing experience,” said gOS founder David Liu. DT Channels BT: Will Others Follow? Telcos have not in the past had much success as providers of enterprise system integration and management services. That may be changing as the business of system itnegration begins to look a lot more like advanced communications. BT has been forceful about transitioning in this way. Now Deutsche Telekom (DT) may make a bid to buy IT services giant EDS (EDS). Telcos and mobile services providers are increasingly becoming IT providers, either directly or as integrators or aggregators of IT functions that they then deliver to their customers. Similarly, large software providers are moving towards "software as a service." And what is communications but "software as a service." BT was ahead of the curve on this trend. Vodafone has obtained a restraining order in Germany against T-Mobile's exclusive deal to sell iPhones. Europe has fair-competition laws that are designed to allow consumers choice. So Vodafone might be hoping its lawsuit will help it get its own rights to sell the iPhone. It wouldn't be the first time an iPhone deal has run into complications. In France, Apple has to supply unlocked iPhones, despite Apple's objections, because of a French law requiring carriers to offer unlocked as well as locked phones. Jajah Direct, a new service from Jajah, now allows users to place global calls using any phone and local access numbers, without the use of a Web connection to set up the calls. The actual charges will vary based on carrier policies on "local" calls. If, for example, a caller can reach a "local" number charged as a "free" call, then the global calls are "free." In other cases the charge is the normal per-minute "domestic" call rate plus an international surcharge. Users of Jajah Direct will dial a local Jajah access number in their city, and then dial the number they want to call. Jajah connects the user directly using VoIP. After the call, the caller will receive a unique local number for the contact, which can be stored for direct dialing. Each user will get an unique local number for the particular contact. When the user dials the unique local number, the Jajah server compares this number with the data available in the server database to generate the number that the person wants to call, so long as the calls are placed within the Jajah local access market. Jajah will initially offer the local number facility in ten U.S. cities. It also will offer the feature in London, Berlin, Rome and Tel Aviv. The company plans to add more local numbers in the next few weeks. So the latest rumor is that Google is trying to buy Skype. While the move makes a certain sense, this might be a trial balloon of the sort often floated by investment bankers eager to get some deal fees. Who will massively introduce mobile VoIP? Mobile carriers themselves, says Dean Bubley, Disruptive Analysis president. In fact, some 250 million VoIP over mobile accounts will be in service by 2012, he argues. Conversely, dual-mode mobile devices that work both on wireless networks and Wi-Fi will have been eclipsed, he argues. As for independent providers of VoIP over third generation mobile networks, get ready for something of the same thing that has happened to Vonage, he essentially argues. Independents don have a window of opportunity, though, since the majors haven't yet moved. Maybe some of you already agree that "Swiss Army knife" mobile platforms have to make compromises. And one of the compromises is ease of use. There's just so much complexity a user can put up with before the alternative--a simpler device--starts to make sense. And we are getting there. Sure, you have to carry multiple devices. But think about it: most of us already do that, and as nice as one device would be, choosing between a notebook and a mobile phone or email device is too tough a choice. I carry two or three communications devices everywhere, if on the move. And then an iPod Shuffle for music. For short periods of time I will make do with either an email device or a smart phone in the pocket. But the other devices are there. If an airplane is involved; if I am going to be "out of town," two is the minimum number of devices, and I usually carry three. Yes, it is a hassle. But so is restriction to one device. So far at least, three is the irreducible number. And there might be a consumer backlash coming even from the ranks of users who don't have to "run and gun" with heavy text entry. Universal McCann's European office has surveyed 10,000 Internet users in 21 countries and found that demand for a convergent device such as the iPhone is actually pretty low, at least in the U.K. market. About 41 percent of the 500 Britons surveyed expressed an interest in owning a converged mobile handset, on par with France and South Korea. Interest in Japan, Taiwan, the U.S. market and Germany was even lower, with only 27 percent of Japanese respondents expressing an interest. Now, those are significant numbers for Apple, to be sure. The interest was greatest in Mexico at 79 percent and similarly high in other developing markets, including Brazil and Malaysia at 72 percent and India at 70 percent. The point is that these are markets where the smart phone will be the PC. The irreducible number there is one. In the U.K. market, most people already own a mobile phone and one or more of the devices that the iPhone could replace, with 24 percent of respondents owning five or more devices. For example, 82 percent of Britons own a mobile phone and 48 percent own an MP3 player, the research suggests. There is demand for new services. Some 48 percent said they would like iPod video capabilities on their mobile phone. About 43 percent said they wanted wireless Internet capability and 28 percent want audio-only iPod functionality. Convergence is in many ways a compromise driven by financial limitations, not aspiration. In the markets where multiple devices are affordable, the vast majority would prefer that. Up to a point, multiple features are important. It's a simple example, but the 5-megapixel camera on a Nokia N95 is way better than no camera or a 2-megapixel camera on a BlackBerry. The point is that there is a limit to how much complexity and how many trade-offs a user is going to put up with to have "just one device." And then there are the cultural issue. I think we are reaching a point where "always connected" has to be balanced. "Real," as opposed to "digital" life is going to start looking really attractive at some point. I think the move already has begun. "Unconverged," indeed "not digital, not connected" pursuits are going to be seen as more interesting, as the pendulum starts to swing back. When "connected" starts to become a burden, people will "unconnect." When "convergence" starts to become too complex, with too many trade-offs, people will "uncoverge." Just watch. Confused about what Google really wants in the mobility space, and in particular what it wants from the 700 MHz spectrum auctions? The simple answer is that Google is for mobile what the Internet was to telecom service providers: an alternate communications medium whose value does not hinge on access, but on applications. Wireless service providers will fight Google without quarter for the same reason they learned to loathe the Internet: it is difficult for them to extract revenue when value lies in applications not dependent on recurring payments for access. That doesn't mean Verizon and at&t, in particular, won't try to make a business out of it. After all, despite the margins, despite the gross revenue implications, both are fierce competitors in the broadband access business. But the tack will be to stop it if possible, slow it where possible, but adapt if necessary. But Google is not the only force pushing against the old order. iPhone, for example, seems to be the first of any number of approaches to thinking about what a mobile handset is, what an operating system is, what a platform is and where value can be extracted in the ecosystem. As Skype and UK cellphone operator 3 reportedly are working on a new mobile handset that promises to "make Internet calls mobile," rumors continue to swirl about a possible Gphone or Google phone. Nokia is rolling out N95 series devices that also raise the question of where the leverage lies: operating system, user interface, handset, application or extended application ecosystem. It’s an important question. Remember back when people seriously thought the browser would somehow translate into “ownership” of the user? That largely proved incorrect. But operating system ownership has proven a more durable lock on value and customer ownership. Facebook might be showing the power of the platform. But the iPhone seems to suggest the power of the device itself. In short, getting the answer right might confer genuinely significant leverage in the mobile business. Much of the impetus for thinking about such things comes on the heels of rumors about a Google phone, Google mobile operating system or mobile platform. While the thrusts are not mutually exclusive, the strategic approach Google takes conceivably could redefine much of the existing mobile business. The difficulty of pinning down the likely thrust is difficult, as Google has to be working on a number of aspects, all at the same time. It must create a mobile interface to the Internet while supporting voice services not significantly inferior to those handsets offer today. That means Google has to convert the Internet experience for the phone and create or enable a suite of related applications and applets that all work smoothly together and share data. Then it has to create awareness of some mobile features users didn’t know they wanted, such as location-aware services and features. Google has to do all that and also make the PC and mobile experiences similar and intuitive. And after all that is done, has to create a business process for supporting all of that with an advertising revenue model. Of course, Nokia, Apple, Microsoft and Samsung—among others—will try to do the same thing, at some point. Unless it can be done, Microsoft will have a tough time making 25 per cent of its revenues, or about $14 billion, from advertising in the relatively near future, as it says it will. The issue, perhaps, is how many of these sorts of things have to be handled by the handset. 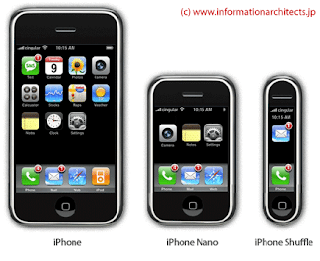 How “skinny” can the device be and still provide a reasonable user experience? And how much does an actual handset matter, if a widely-distributed reference model can be propagated? Still, as Apple has proved time and again, a tightly-coupled hardware and software approach can yield outsized results in the user experience area. Many argue that Google will want to avoid getting entangled in the consumer electronics business. True enough. Others make the same argument about any possible plans to bid for its own spectrum. But Google executives have said mobile offers Google the biggest possible opportunities. If that is true, stretching into unfamiliar areas might be the best way to dominate the new business. It’s just an opinion, but an “operating system” approach offers the least risk but the least reward. Devices and the ecosystem are much more risky, but offer greater reward. And since Google is sure to encounter resistance from the established wireless carriers, owning its own network might be the only way to get rapid adoption. So that’s what Google is up to: creating a mobile broadband version of the open Internet. EarthLink is considering "strategic alternatives" for its municipal Wi-Fi business, says Associated Press, a phrase that generally means it is for sale. EarthLink originally had hoped it might be able to come up with a revised business plan that relied on additional investment by partners, including the municipalities that wanted the networks in the first place. The company "decided that making significant further investments in this business could be inconsistent with our objective of maximizing shareholder value," says Rolla Huff, EarthLink CEO. As most enterprises struggle to get a grip on mobility costs and strategy, users continue to impose their own desires for devices that better integrate their jobs and personal lives, says Zeus Kerravala, Yankee Group analyst. They will use what they find most useful in both settings regardless of any corporate efforts to slow or block adoption. Enterprises were not able to stop users from bringing consumer messaging and VoIP applications into the office, and mobile devices won't prove any different, despite general IT executive opposition. According to Yankee's latest research, at least 45 percent of all enterprise workers operate outside of the traditional office setting at least part of the time. If consumer-driven mobile systems offer workers better performance and more robust applications than the devices endorsed by their employers, they will use them, Kerravala says. As much speculation as there has been about a possible Google bid for 700 MHz spectrum, there now are new reasons to think Google is deadly serious, and that provide new strategic reasons to win the auction, not just to bid for tactical reasons. A U.N. telecom meeting has decided to give mobile service providers access to similar bandwidth currently reserved for terrestrial television broadcasts, making mobile Internet access a major new wireless feature globally by 2015. Google simply would be early in the new business if it acquires and then operates a mobile Internet service. Significantly, global data roaming will be much easier as the new rules on spectrum use will rely heavily on common frequencies in diverse regions, meaning handsets will be able to interoperate. That promises higher sales volumes and hence lower costs, on both the infrastructure and handset fronts. A U.S. government auction of key 700 MHz spectrum 698 megahertz to 806 megahertz range)is scheduled for February. Unlike many recent spectrum auctions, which essentially resulted in more bandwidth to support legacy services, most observers think the new spectrum largely will be used for IP-based Web applications and data. Despite the challenges and risks, Google might want to move more aggressively given the new global implications. Most people would guess that teenagers send more instant or text messages than emails. 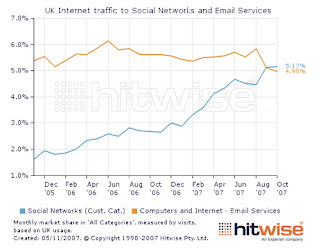 In the U.K., says ComScore, it is a quantifiable trend. As it turns out, people now are communicating more from within the context of their social networks than using portal-based email. That isn't yet true for business communications, of course. But it stands to reason that personal use of email is for communication with friends and family. And if those people are part of a social network, one doesn't have to go outside the network to send messages. Some day soon, people will launch and receive voice, video and other communications from within the social network as well. According to the second annual AP-AOL Instant Messaging Trends Survey, 25 percent of respondents send instant messages from their mobile phones, including 32 percent teens. In addition, IM users are instant messaging from within their social networking profiles. More than 27 percent of users say they use instant messaging at work. Further, half of at-work IM users say that instant messaging makes them more productive at work, a 25 percent increase over last year. More than half (55 percent) of teen IM users have used instant messaging to get help with their homework. This is a 17 percent increase over last year. Meanwhile, 22 percent of teens say they have sent an IM to ask for or accept a date. Forty-three percent of teen IM users say they have used instant messaging to say something they would not say to someone in person. Teenage girls are more likely than boys to do so. Nearly half of teenage girls surveyed have used instant messaging to say something they would not say in person, compared with just over a third of teenage boys. Nearly three in four teens (70 percent) and one in four adults (24 percent) send more instant messages than emails. Multi-tasking remains very popular, as IM users tend to engage in multiple online activities while sending instant messages. Checking email is the most popular activity among eight in ten adult and teen IM users. After email, adult IM users most often conduct online searches (49 percent), while teens say they like to research homework assignments online (57 percent). Nearly four in five (79 percent) at-work IM users say they have used instant messaging in the office to take care of personal matters. One in five (19 percent) IM users say they send more instant messages than emails to their co-workers and colleagues. Google Will Bid on 700 MHz Spectrum! Google is preparing to bid at least $4.6 billion for wireless spectrum to be bought at the Federal Communications Commission's January auction, the Wall Street Journal reported says. The company is planning to bid without partners, a move some of us would not have predicted. One simply has to point back to packaging and pricing innovation by just one carrier--AT&T--to illustrate the fact that a significant new pricing pattern, in this case the concept of a bucket of minutes for a flat fee, can cause an entire industry to react. A bid obviously would vastly complicate Google's other efforts to gain favorable placement of its software on all sorts of devices compatible with all sorts of carrier networks. But Google probably wins even if it loses. By creating a "bid" poker chip, it can wring concessions out of recalcitrant carriers who might be wary of giving Google more play. And there are very real costs to be borne by the likes of Verizon and at&t if Google enters the bidding contest. It is not simply the threat that Google wins. If Google bids, the final price paid by the auction winner, whether at&t or Verizon, will be higher than if Google had not been a contestant. Making War on Your Customers a Mistake. Duh! Edgar Bronfman, Warner Music CEO, says mobile service providers should not make the mistake the music industry did. "We used to fool ourselves,' he says. "We used to think our content was perfect just exactly as it was." "We expected our business would remain blissfully unaffected even as the world of interactivity, constant connection and file sharing was exploding," he says. "And of course we were wrong." "We inadvertently went to war with consumers by denying them what they wanted and could otherwise find and as a result of course, consumers won," he says. Mobile operators risk making the same mistake with their music services, he says. "The sad truth is that most of what consumers are being offered today on the mobile platform is boring, banal and basic," Bronfman says. "People want a more interesting form of mobile music content." "They want it to be easy to buy with a single click," he adds. "And they want access to it, quickly and easily, wherever they are, 24/7." Tradespace is a community platform that allows businesses to interact together and use PayPal to make transactions. 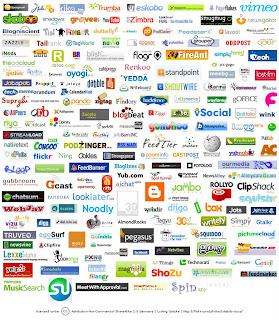 It currently features 20,000 largely small business users. The SME employs 10 million people in the U.K. market, about half of the total private workforce, says Ben Verwaayen, BT CEO. About 24 percent of the U.K. workforce works from home. About 60 pecent start-ups also are home-based. "They don't want hassle but they want to live in the 21st century," says Verwaayen. "So they want to have the capability to communicate, to delegate, to go out in the world and find supplies, find customers and do that in a way that they concentrate on what they do best," says Verwaayen. And that's one example of how social networkng can work for small business. The future of enterprise computing will draw from what is being developed on the consumer side, says Paul Otellini, Intel CEO. "Consumers today are the number one users of semiconductors; they passed over IT and government in 2004." "Prior to that period, most people developing silicon in the industry were focused on the main market: the enterprise and IT," says Otellini. "Today, most of us are focused on the consumer market as drivers." "Not so long ago, if you were technology-oriented and wanted to do something innovative and cool that would make you rich, you wrote a new piece of enterprise software," he says. "Or you came up with a new design for a server. Or you figured out a way to link business people with their offices while on the road." That's just not the case anymore. Innovation is coming from the consumer Web. in 2008, and to keep growing to $2.7 trillion in 2013. While the overall CAGR is 10.3 percent, there are notable regional differences. The Europe/Middle East/Africa (EMEA)region has the slowest growth rate at 5.2 percent annually. The Asia Pacific region is experiencing the highest five-year growth overall, at 15.5 percent. The Latin American region is next with a growth of 12 percent. Broadband wireline revenues are growing at a 6.7 percent cumulative annual growth rate over the forecast period, while narrowband wireline services revenues are essentially flat at 0.4 percent over the same period. 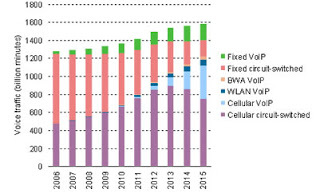 Clearly wireless and broadband are where the growth is. 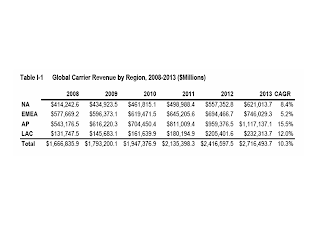 Wireless revenues will grow from 60.3 percent of all telecommunications services revenues in 2008 to 72.3 percent in 2013. Wireless services revenues are growing at 14.4 percent over the forecast period, while wireline services, which includes both broadband and narrowband services, grows much more modestly at 2.6 percent. You probably would have guessed this would be the case: User Centric, Inc., a Chicago-based usability consultancy, says iPhone owners can enter text just as rapidly as a BlackBerry user can, but the error rate for iPhone users is higher, and significantly higher for longer messages. While iPhone owners made an average of 5.6 errors/message on their own phone, hard-key QWERTY owners made an average of 2.1 errors/message on their own phone. Nor does it appear experience makes that much difference. Though User Centric found that experienced iPhone users could type faster, they made as many mistakes as users who never had touched an iPhone before. Participants who had previously not used either a hard-key QWERTY phone or an iPhone also were significantly faster at entering text messages on the hard-key QWERTY test phone than on the iPhone. These participants also made significantly fewer errors on the hard-key QWERTY than on the iPhone. Numeric phone owners made an average of 5.4 errors/message on the iPhone, 1.2 errors/message on the QWERTY test phone, and 1.4 errors/message on their own phone. The study involved data from 60 participants who were asked to enter specific text messages and complete several mobile device tasks. Twenty of these participants were iPhone owners who owned their phones for at least one month. Twenty more participants were owners of traditional hard-key QWERTY phones and another twenty were owners of numeric phones who used the “multi-tap” method of text entry. Each participant entered six fixed-length text messages on their own phone. Non-iPhone owners also did six messages each on the iPhone and a phone of the “opposite” type. The opposite phone for numeric phone owners was a Blackberry and for hard-key QWERTY phone owners it was a numeric Samsung E300 phone. Some participants did additional tasks, including a contact search and add contacts, as time allowed. Non-iPhone owners entered a total of 18 text messages – six each on their own phone (hard-key QWERTY or numeric phone), the iPhone, and the “opposite” phone (numeric test phone for QWERTY phone owners, hard-key QWERTY test phone for numeric owners). These participants also entered two pangrams and one corpus on their own phone and completed the contact list tasks if time was remaining. Participants rated the hard-key QWERTY phone highest out of all three phones for ease of text messaging. The hard-key QWERTY phone was also most frequently ranked first out of the three phones by the numeric and QWERTY users. Overall, the hard-key QWERTY phone was ranked first in text messaging by 85 percent of users. The iPhone was ranked second by 60 percent of these users. None of the hard-key QWERTY phone owners ranked the iPhone first for text messaging and only three numeric phone owners ranked the iPhone first. In general, hit rates for all keys on the iPhone keyboard were consistently 90 percent or higher. The average hit rate was about 95 percent. But participants repeatedly pressed certain keys when they intended instead to press other adjacent keys. Several iPhone keys had high error rates: Q (66 percent), P (27 percent), J (22 percent), X (21 percent), and Z (15 percent). In contrast, the median false alarm rate across the iPhone entire keyboard was 5.48 percent. iPhone keys with the highest false alarm rates were those in close proximity to the five most frequently used letters in the English language: E, T, A, O, and I. In addition to the high false alarm letters listed above, other false alarm letters included W (10 percent), R (6.5 percent), Y (8.7 percent), and S (6.0 percent), which are also adjacent to high-frequency letters. B (8.2 percent) also had a high false alarm rate, potentially because of its location near the letter N (which is the sixth most frequent letter, User Centric says. On the hard-key QWERTY keyboard, the hit rates for all keys were above 97 percent, except for V (96 percent). Additionally, the false alarm rates for keys on this keyboard were below three percent, with the exception of Q (8 percent). Performance on the keyboard was much better than on the iPhone keyboard. The letters with higher false alarm rates were similar on both keyboards, involving many of the 5 least frequently used letters in the English language, such as Q, Z, V, and B. Also, the Q and P keys were problematic for users of both keyboards, suggesting that the issue for these keys arises from their location near the top edges of the keyboards. Participants made different types of errors on the iPhone and the hard-key QWERTY phones. The majority of errors made on the iPhone involved substituting a nearby letter for the intended letter. However, on the QWERTY phone, participants made more insertion and omission errors than substitution errors. Also, many of the substitution errors that were made on the QWERTY keyboards involved swapping the order of the correct letters in the words, such as typing “stomr” instead of “storm”. Compared to hard-key QWERTY devices, the iPhone may fall short for consumers who use on their mobile device heavily for email and text messaging, says User Centric. The iPhone was clearly associated with higher text entry error rates than a hard-key QWERTY phone. The finding that iPhone owners made more texting errors on iPhones than their hard-key QWERTY counterparts (on their own QWERTY phones) suggests that the iPhone may have a higher fundamental error rate. The iPhone’s predictive and corrective text features do alleviate some of the errors users make while texting, but it does not catch them all. The touch screen obviously is an elegant interface for some tasks. It just doesn't appear to be the best interface for all tasks. Mutlitap and touch screen will work fine for many people. Others will find QWERTY keyboards the only way to go. Nortel has unveiled a Communications Enablement strategy that enables Web services on some Nortel products and provides a software-based environment to simplify the creation of customized communications-enabled applications and business processes. Nortel also is working with IBM to support Service-Oriented Architecture and Web services that allow customers can integrate advanced communications services into business applications. Nortel recently unveiled Web Services enablement on the Application Server 5200 and Communication Server 2000 IP Multimedia Softswitch, which allow service providers to offer their enterprise and residential customers interactive multimedia communications tools for their websites based on functionalities such as instant messaging, videoconferencing and presence. Nortel has also rolled out extensive Web Services capabilities on its Contact Center and Advanced Speech platforms. Nortel also is developing a software-based foundation environment that enables network engaged applications or services across a customer's multi-vendor communications infrastructure. It is expected to be available to customers in the first quarter of 2008, and will provide orchestration of real-time services in a multi-vendor infrastructure environment across multiple domains (enterprise, carrier, wireless and wired). The intent is to enable the creation of communications-enabled applications that are integrated to customers' business processes. Vodafone had a good quarter. It might also have had an instructive quarter. The stand out? Organic growth of 45 percent in non-messaging data revenue. In fact, non-messaging revenue is now up to a level of half that of messaging (text and multimedia messaging. "The organic growth in data revenue of 45.1 percent was particularly strong and can be attributed in part to increasing penetration of Vodafone Mobile Connect 3G/GPRS data cards and handheld business devices," the company says. 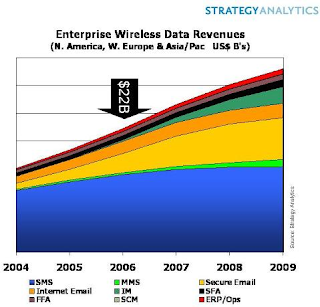 Translation: Wireless notebook computers and BlackBerry style email devices are driving data growth. Vodafone handhelds in the business category increased by 112.6 percent since September last year and Vodafone Mobile Connect 3G/GPRS data cards grew by 78.9 percent. Assume there are 1.8 million data cards in use and 1.4 million email-centric handhelds as well. Assume the monthly revenue stream for a notebook card is £35 a month. Assume an email device such as a Blackberry represents £25 a month. That suggests £294 million in revenue from data cards and £165 million from email devices, or £459 million, over a six-month period. EU-wide, Vodafone got something like £843 million in non-messaging data revenue over the same period. So "pipe" revenues have increased from 46 percent to 54 percent of Vodafone's European data revenues over the last year. "Dumb pipe" trumps "content," in this case. Technology Patents, a Maryland entity having its principal place of business in Potomac, Md, (address P.O. Box 61220, Potomac, MD 20859, http://www.arismardirossian.com/), has filed a patent infringement suit claiming that 131 carriers, handset suppliers and application providers have infringed a patent covering global transmission of text or short message service (SMS) communications. Technology Patents alleges that all of the defendants, which include T-Mobile, Vodafone, China Resources Peoples Telephone Company Ltd, AT&T, Samsung, Palm, Microsoft, and Yahoo! (among the 131 defendants), have caused international text or SMS messages to be sent to and from Maryland, thereby resulting in infringement of the asserted patents in Maryland. TPLLC has asked for a permanent injunction against the defendants, enjoining them from providing international messaging operations and capabilities in the U.S. market. My views on this, as previously mentioned, are that there is way too much use of "patents" as a business weapon or means of extortion, and too little use of patents as a genuine way to spur the formation of intellectual capital. We aren't talking about one or two "infringers." We are talking virtually the entire global telecommunications industry here. Can that possibly be the case? Or is this yet another example of "prior art" that should never have been given patent status in the first place? Avaya says its Avaya one-X Mobile unified communications platform will support Apple iPhone. The company also announced the availability of Avaya one-X™ Mobile for RIM, Palm, Java and WAP mobile devices. The first company to announce access to enterprise communications from the iPhone, Avaya now extends this access from the broadest range of mobile devices of any enterprise communications manufacturer today. Avaya one-X Mobile unites enterprise and mobile networks, allowing the two to work together more effectively while increasing the value of existing investments in communications infrastructure. With Avaya one-X Mobile, mobile devices from Apple, RIM, Palm, Motorola, LG, Nokia, Samsung, Sanyo, Sony Ericsson and others become endpoints on the corporate network. From the iPhone, users will have iPhone optimized access to the Avaya one-X Mobile interface, providing the same ability to make the iPhone their personal remote control for enterprise communications. A group of Asian mobile carriers early next year will provide traveling users data access for a flat daily fee. The carriers call themselves the Conexus Mobile Alliance, and include Hong Kong's Hutchison, Indonesia's Indosat, Japan's NTT DoCoMo, the Philippines' Smart, Singapore's StarHub, South Korea's KT Freetel, India's Bharat Sanchar Nigam Ltd., Manager Telephone Nigam Ltd. (MTNL) and Taiwan's Far EasTone. The alliance covers 11 territories and 160 million consumers. All the carriers use the Wideband Code Division Multiple Access data standard operating faster than 3G. Some of the carriers already have deployed high-speed downlink packet access (HSDPA), supporting speeds up to 1.8 Mbps. NTT DoCoMo already offers 3.6Mbps, and plans to launch a 7.2M bps service early next year. The carriers hope the new alliance will boost data usage within Asia. Major Reform of EU Telecom? In a major revamp of its rules on wholesale access to optical loops, the European Commission executive branch has decided that, where competition is weak, incumbents must create separate “wholesale access” companies that sell services to all service providers. Known as “structural separation,” the model resembles that current in the U.K. market, where BT and all other wireline providers buy access services from a wholesale OpenReach company. The plan still must be ratified by member nations, and opposition is expected. National regulators are happy to be given more powers, but do not want the EU executive to be allowed to overrule their decisions and insist that they do not need an EU watchdog. The European Commission says the new rules could be applied by the end of 2009, but observers expect EU states such as Germany, France and Spain to water them down. If ratified, however, the decision essentially means competitors will have wholesale access to incumbent fiber-to-home facilities. The decision stands in stark contrast to rules in the U.S. market, where cable and telco providers are not required to lease such facilities to competitors. 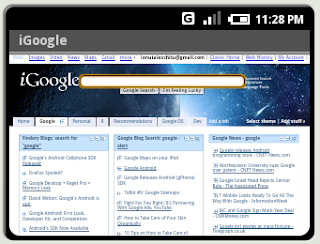 The Android Web browser seems to render Web pages nicely, based on these screenshots from Google Operating System. Not since Steve Jobs over at Apple has a company apparently worked so hard on the look of fonts. But it appears Google has something of that same passion for user experience as it develops Android, its open source platform for mobile computing and communications devices. 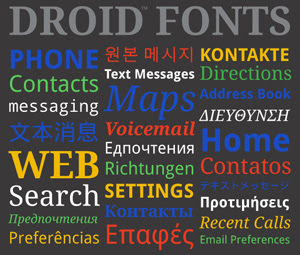 Here are the fonts users will be interacting with. Nice. Pleasing. But just as important, a sign that mobile user experience might now be really be an obsession at two companies. Don't get me wrong. My BlackBerry is one of two devices I can't seem to dispense with, simply because it handles email so well. But it doesn't do voice very well, the key placement is occasionally awkward, and camera and media support is woeful. The other, curently a Nokia N95, does photography, audio and video really well, has much more personality and uses a much better Web browser. RIM's browser is awful. Still, when I find I am reading the manuals, over and over, to learn how to use either device, which was my experience, something isn't being done as well as it might. Syncing of data, calendar items and so forth is easy using either RIM's Intellisync or Nokia's PC Suite. And the picture-handling Nokia LifeBlog is interesting. The point is that software and navigation are getting to be more important now that mobiles are computers. Apple always gets this. Android might as well. These fonts are nice. They also hopefully are a sign. T-Mobile is going to be the first U.S. wireless provider to offer Android-powered phones next year. It is going to be first because it already has been working to develop such phones with Google and because it has powerful incentives to do something really dramatic to close the gap between itself and the other three major mobile providers. Put simply, it has got to take more chances and gamble more. And oddly enough for the carrier with the least broadband capability (T-Mobile hasn't yet deployed its third generation network and the others have, T-Mobile might be launching a major push for Web-centric services. If the big opportunity not yet dominated by anybody else is the mobile Web, it's a major chance for T-Mobile to establish a new position for itself in the marketplace. Once positioned at the "more minutes, less money" end of the spectrum, T-Mobile over the past several years has gotten more traction as a provider of "trendy" devices with an image to match. Pushing hard on the Android front is just another step in that direction. T-Mobile also has been innovative on the services and packaging front. Its "myFaves" program allows unlimited calling to any other five numbers: not numbers supplied by T-Mobile--any other numbers. T-Mobile also has been first to offer "HotSpot at Home," a dual-mode service allowing unlimited calling from the home Wi-Fi zone or any T-Mobile HotSpot. And though I continue to think the problem with dual-mode services is handset limitations, "HotSpot at Home" supports the BlackBerry Curve, one of the few devices I actually would consider using. So call T-Mobile remarkably prescient or lucky. T-Mobile also worked closely with HTC, we are told, on the "Shadow," a "slide-out keypad" device with the "no keys" look that is becoming more popular. The point is that T-Mobile is powerfully motivated to push the innovation envelope because it simply has to. That's going to be good for users. Watch T-Mobile. In a move that will limit business opportunities for Comcast and Time Warner Cable and help independent networks, the Federal Communications Commission is preparing to impose significant new regulations to open the cable television market to independent networks, after determining that cable operators are too dominant in the multichannel video entertainment market. Satellite and telco competitors should benefit at least in part, as the new rules are expected to force cable-affiliated programming networks to sell their content to competitors at better rates. The new rules essentially would prevent Comcast from acquiring any other system assets, and limit Time Warner Cable's ability to make large acquisitions, shutting off a revenue growth path for both firms. One of the proposals under consideration by the commission would force the largest cable networks to be offered to the rivals of the big cable companies on an individual, rather than packaged, basis. Up to this point cable-affiliated programmers have used the "bundled" wholesale tactic to get wider carriage for niche networks that piggyback on the popularity of major networks. In other words, to get the "must have" channels, competing service providers have to buy the weaker networks as well. The agency is also preparing to adopt a rule that would make it easier for independent programmers to lease access to cable channels. Cable operators oppose that measure because it reduces their control over scarce channel slots. Though consumer advocates believe the rule changes will lead to lower prices, that might not happen. What might happen is that consumers will be able to buy more targeted channels and packages without the "buy through" requirements that typically result in viewers "paying" for scores of channels they don't want. In all likelihood, the changes will benefit a small number of viewers that really are interested in just a few channels, or who do not want to buy sports programs. For most viewers, who watch eight to 12 channels fairly regularly, it likely still will make sense to buy a broad package. ESPN and sports programming in general is a major reason cable prices have risen so much over the past couple of decades, so opting out of ESPN carriage is one way consumers might save some money. Conversely, the rule changes could be damaging to ESPN if any significant number of consumers they can live without it. Is the patent system broken? Supposedly a way to protect genuine intellectual property and spur innovation, patents these days seem most likely to wind up being used as a weapon of business warfare, and may actually retard innovation in many cases. Vonage and Research in Motion come to mind, as many observers think the patents Vonage is said to have infringed should not have been granted in the first place, and RIM had to pay what amounts to greenmail so its carrier and enterprise partners would not suddenly have to make all BlackBerry services "go dark." In fact, it seems to be common these days to attempt to patent common business practices, obvious to anyone in the field. That leads to patent "trolls" buying up intellectual property and then suing companies as a business model. Suing is a repugnant business model. And most patents seem trivial or--to a layman--overly broad. It is important to foster innovation and reward effort, and some innovations fit that bill. But isn't it obvious we ought to encourage people to work on really hard problems, and reward them, rather than encouraging lots of trivial stuff? Sure, it sometimes is hard to distinguish between an idea of significance and "prior art." Now there's a big, socially useful problem that Google ought to be able to help with. Whether it is the patent system or the way it gets used in business, something is out of whack. One might argue it is a necessary evil. Perhaps it isn't so necessary (at least the way currently practiced), though perhaps it often is evil. One of the best things about Web services is that user experiences can be personalized and customized . So it is that Google uses many signals to rank search results and in some cases filters returns based on a user's location, device or preferences. You've probably noticed that hyphenation doesn't limit results. "T-Mobile" and "TMobile" results both come up. Helpful since hyphenation conventions vary from one document and user to the next. However, typing "+TMobile" only brings up results that do not have the hyphenation. Google defaults to eliminating duplicate search results, which normally is desirable. There be some cases where a particular search might return multiple results from a single Web page, and a user might want those results. Typing "&filter=0" at the end of Google's URL will disable that function. I find it useful that Google senses when I am searching from a mobile and formats the display accordingly. If, by mistake, you are searching from a PC and get the mobile version by accident (I can only say it can happen; it has never happened to me), use the "http://www.google.com/webhp" URL. To get more targeted results, type "&gl" at the end of the Google URL. In 1970, AT&T introduced "Picturephone" service in Pittsburgh. It flopped. In fact, the average person wouldn't normally think to turn to a telephone or cable company to buy or use video-enabled communications. Instead, one might think of WebEx, Cisco, Packet8 or Skype. And options on the mass market front just got better. Skype and Logitech have partnered to create a High Quality Video experience using Skype 3.6 for Windows and Logitech QuickCam software, version 11.5. High Quality Video-certified Logitech webcam and a PC with a dual-core processor. Obviously, both end points need the set-up to ensure the best experience. This is a potential experience changer, as it should allow full-screen images with decent quality. Skype 3.6 for Windows is expected to be available in early November in 28 languages. The Logitech QuickCam software version 11.5 is expected to be available at the same time. The Logitech QuickCam Pro 9000 and Logitech QuickCam Pro for Notebooks webcams are now available for a suggested retail price of $99.99 in the U.S. and EUR 99.99 in Europe. The Logitech QuickCam Orbit AF is available now in the U.S. market and Europe for $129.99 and EUR 129.99, respectively. Most litigation in the U.S. business markets is crap. So put Research in Motion into the camp of crappers. RIM is suing to prevent LG from using the words "Black Label, Strawberry and Black Cherry" for its wireless phones, arguing that the "fruit" names are too similar to its own, and infringe on its trademarks. I don't know. I just can't imagine anybody confusing a BlackBerry with any other device, no matter what the name. LG isn't the only company to have faced a challenge from RIM over the BlackBerry name. Last December, RIM filed a suit in the same court against Samsung Electronics Co. Ltd. alleging that company's BlackJack wireless device was creating confusion between the two products. RIM and Samsung settled the suit. The current dispute with LG appears to go back to March, 2006, when LG filed an application with the U.S. Patent and Trademark Office to use the Black Label brand. Over the next 10 months, LG filed additional applications for the Chocolate Black Label Series, Black Jewel, Black Jewelry, Blackruby, Blackpearl, and Pearlring names, which were disputed by RIM, the complaint alleges. Then in May, 2007, U.S. wireless carrier Verizon Wireless allegedly asked RIM for permission to use the names Black Cherry and Blueberry for the line of Chocolate wireless devices it carried from LG. RIM said no. Users hate early termination fees that come with their mobile service contracts. Now, in part because of pressure from lawsuits filed challening the practice, all four major U.S. wireless carriers are softening the blow. Verizon Wireless was the first to prorate early termiantion fees last year. at&t Wireless did so in October. T-Mobile and Sprint now also say they will start prorating their early termination fees in the first half of next year. The fees aren't gone. But the amount will decrease the closer you get to contract end date. Sprint also says it will allow allow users to change plans without renewing the contract, something Verizon started doing in October. All the moves are user friendly. Look for more signs of "friendliness" as use of unlocked phones starts to spread, open source Android phones start to make their appearance and, just maybe, a new carrier decides to push the envelope even more. ...as a result of the scuttling of its proposed agreement with Sprint to build a natinal WiMAX network reaching 100 million potential users. Investors reason that Clearwire now will need a new cash infusion, as it continues to lose money on its operations. In a surprise move, Sprint Nextel Corp. and Clearwire Corp. say they are scrapping their agreement to jointly build a nationwide high-speed wireless network based on WiMax technology, after failing to reach agreement on terms of the deal. The move naturally will increase speculation about the fate of the Xohm WiMAX venture, given Sprint's desperate need to shore up its existing mobile phone business. Obviously, the asset is easier to sell or spin off if Clearwire isn't involved. Is it not too early to predict that Google strategists now will be taking another look at spectrum options? At the same time, might not once more note that the complexity of running two separate networks, sets of devices and software are part of Sprint's problem? Other carriers have dealt with such issues by collapsing all services and users onto a single technology platform. Clearly, most of the churn issues are caused by the Nextel base, heavy with small business users. The Nextel iDen network is a-now unusual platform that nobody anywhere else supports, besides. At one point, the Nextel customer base was prized within the mobile industry for its significantly-higher voice average revenue per user. These days, as revenue growth is coming from new data services, the gap has narrowed almost to insignificance, and surely will vanish. At one time, Nextel's "push-to-talk" feature was unique, but other providers now are able to mimic that feature. It's popular in the construction business, but when was the last time you saw anybody use that feature who wasn't in a field service work scenario? Operating two networks leaves Sprint with a troubled customer base, higher churn issues, an unusual technology platform and all the other issues--such as limited handset choice--that come from being a low-volume customer. There's more downside than upside. And be clear, most of the churn is from the Nextel side. From Google's vantage point, it is clear that the Sprint WiMAX network will be built and operational years before any 700-MHz network will. Sprint's WiMAX network has been designed for mobile access, where Clearwire has been taking the fixed approach. Mobility works better for Android devices, obviously. Sprint now says it will review its WiMax business plans. It also should be seriously considering what to do with the Nextel assets. Vonage at&t Patent Settlement for $39 Million? 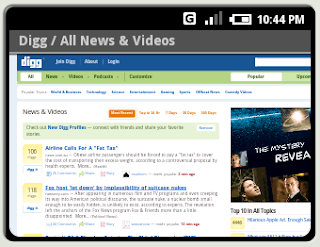 Mobile Web More Like TV? New Direction for Google, Sprint, Clearwire?